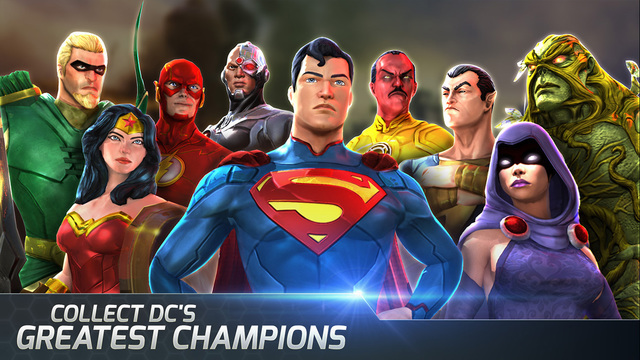 There are a lot of superhero themed mobile games, so what makes DC Legends from WB any different? Well for starters, this is a turn based title featuring DC’s greatest heroes and villains. Essentially you collect these characters and engage in tap and swipe battles, either by PvP or single player action, but there’s more. You build a four-member team and battle against hordes of enemies, and the fast action and visuals will sweep you in. Each character comes with their own special moves, so it’s critical you choose the right members for the team. Similar to other action turn based games, DC Legends allows you to upgrade the characters’ weapons and capabilities as you advance. If you read comics, you’ll see that the game’s storyline is taken from The Blackest Night. It’s not an exact replica of the story but provides its own interpretation. You’ll also do battle in your league, with the goal being to win trophies and awards. As you play you’ll see that its PvP is not the same as those in other games, but it’s something you’ll get used to. Is DC Legends perfect? No it’s not, but we have to remember this game has just been launched. The game had been improved tremendously from the initial previews, so we can expect WB to do more for this game as time passes. In the meantime, DC Legends is very enjoyable game and gives you a chance to see these heroes and villains clash over and over.